The Dog Geek: Turn Your Leash Into an Instant No-Pull Device, Free! Turn Your Leash Into an Instant No-Pull Device, Free! Your regular, ordinary dog leash can be used as a miraculous no-pull device. Seriously. There's a very simple trick called "the leash wrap" that can change your life. It's easy to put on and take off, and all you need is your dog's regular collar and leash. This is a particularly useful trick because you can employ it as needed, and then go back to regular walking. Ready? Here's the trick: Wrap the leash around your dog's chest or waist, leaving the snap attached to the collar, and passing the handle end under the snap end. Done. When your dog pulls, they will now tighten the leash around their own body. When they stop pulling, the pressure lets up instantly. If your dog is wearing a martingale collar, you can even pass the handle end of the leash through the martingale loop to hold everything in place a little better. There are a lot of commercial products that basically use this little trick. The Instant Trainer leash and the Monster Walker both use exactly this, with the leash positioned behind the ribcage. 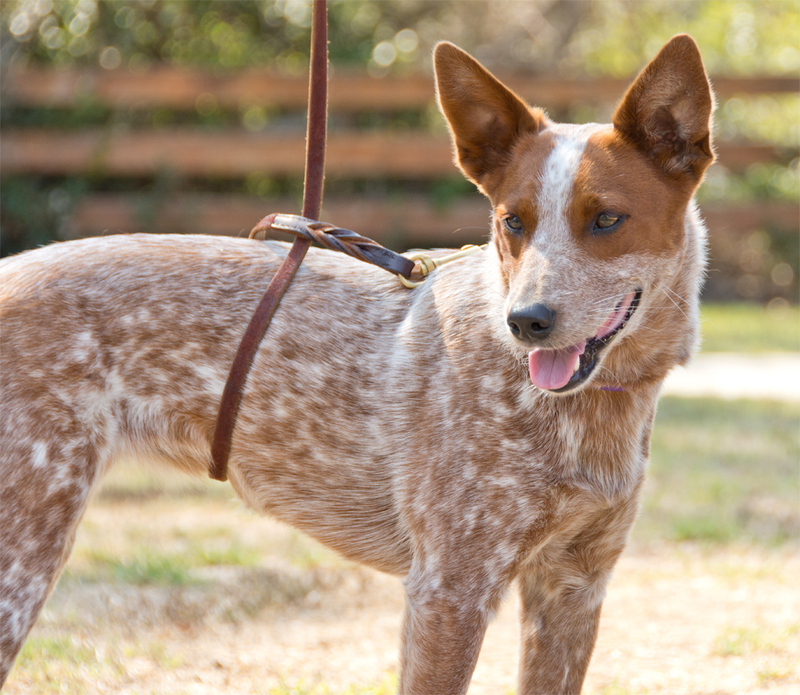 The Harness Lead positions the leash further up, behind the front legs. I used to use this on a lot of my daycare dogs at pick up time, when they were over-the-top excited to see their humans and often forgot their manners. It's ideal for handling short bursts of excitement, like walking from the car to the dog park, or the very beginning of a walk. Be aware that the leash usually wraps around the dog's sensitive abdomen, so it can be surprising and possibly even a little bit painful the first time they hit the end of the leash. Try it out when they aren't bouncing off the walls first, so they understand the concept. Of course, like all anti-pull gadgets, your dog can eventually get used to the leash wrap if you let him. It works best for dogs that already know how to walk on a loose leash at least part of the time. For a chronic puller, the leash wraps presents an opportunity to reward him for walking nicely before he gets used to the feeling and starts to ignore it. What's your favorite solution for dogs that pull on walks? You can also make a halti type device with a simple leash. I did it constantly wit my dog rather then buy a halti.